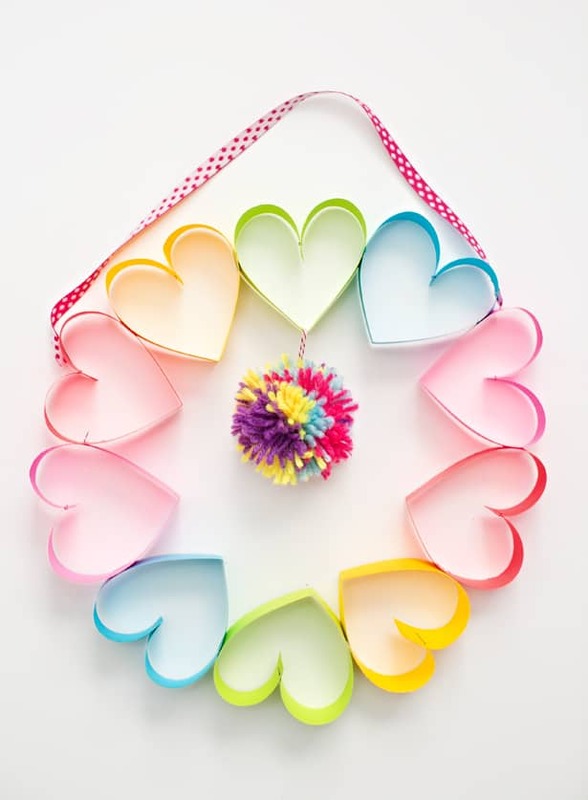 These Valentine’s Day crafts for the kids would be perfect to do this weekend with the impending “snow-pocalypse.” These crafts not only would make for perfect decorations for Valentine’s Day but they could also be great gifts or keepsakes. Not to mention, it might keep you all same while we get snowed in. I would really love to do some of these crafts but I know some of them would not keep Ray’s attention. There are so many clever moms with so many great ideas though! I definitely feel the need to go craft after seeing all these amazing ideas! 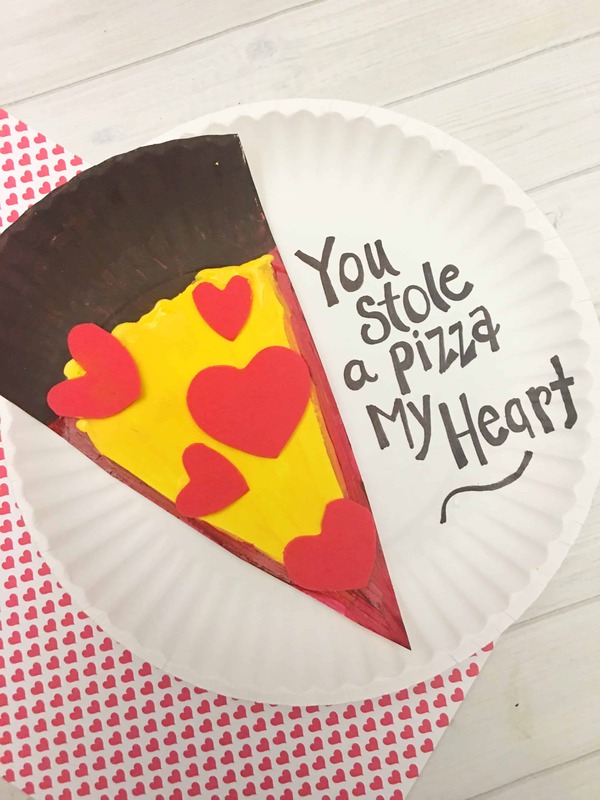 Tell me what your favorite Valentine’s Day crafts are. I’d love to hear from you! These hand print flowers from Nanny SheCanDo would be super cute and thoughtful and some day when you look back on them you’ll be in awe at how little your babe used to be. This blogger from A Few Shortcuts has a wonderful idea for a puzzle that maybe is just collecting dust. Let the kids paint it, glue it together, and voila! Super clever! Now these are freaking ADORABLE. Sunshine Whispers has the cutest idea for those pop-sickle sticks you’ve got in your craft box! Simple and cute. Hello, Wonderful takes you step by step to making this cute wreath! Because what child doesn’t love getting just a little bit messy? 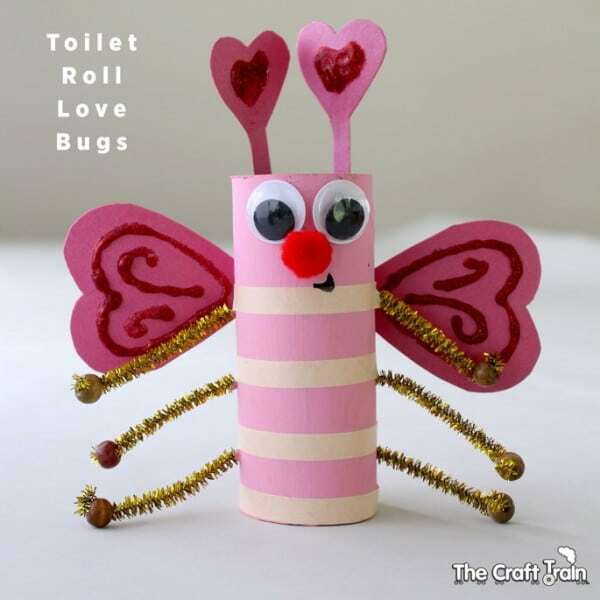 Easy Peasy and Fun shows you just how to make this beautiful craft. This is absolutely adorable. My heart is melting just looking at this craft that The Resourceful Mama has made! 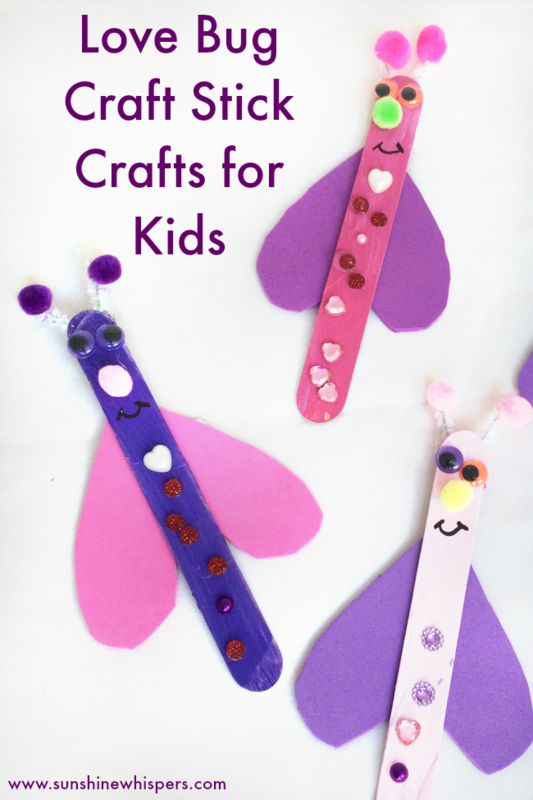 These love bugs from Red Ted Art are super creative and super pretty! 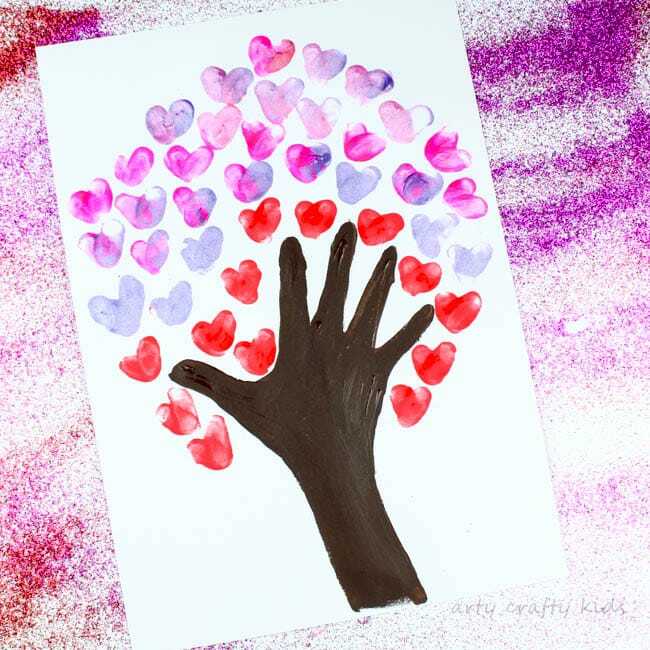 Here is another way to do a fingerprint heart tree from Arty Crafty Kids. This one would be perfect for older children to do. This super cheesy Valentine from Surviving a Teachers Salary is exactly what I would love to receive from my boy! I love it. This Valentine’s Day card from Easy, Peasy and Fun is fun and pretty! Who wouldn’t want to receive one of these? 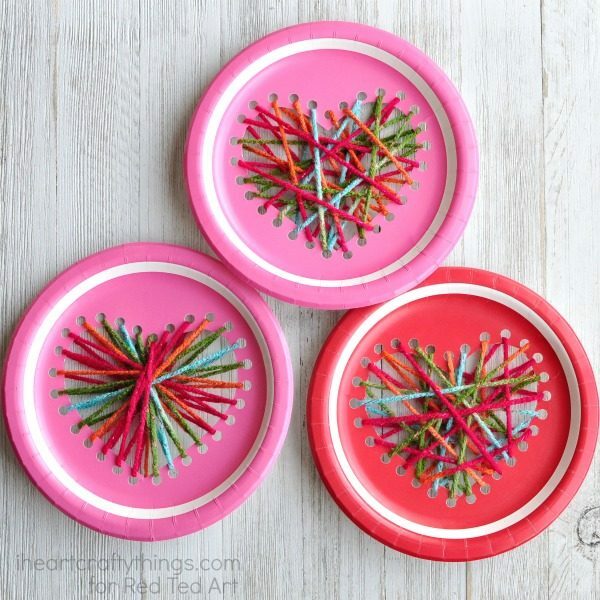 This paper plate craft from Red Ted Art looks like so much fun! Okay, I definitely think Ray and I will be making this love dump truck from Glued To My Crafts. This is so us!